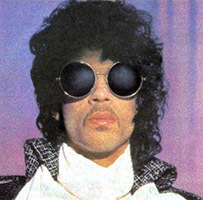 When Doves Cry was the first single to be released from the album Purple Rain, by Prince and the Revolution (the single was credited only to Prince, as he recorded the track alone). It was released five weeks prior to the album, and received a release around the world. The b-side, 17 Days, was previously-unreleased and not included on the album. 17 Days was credited to Prince and the Revolution, marking the first time a track was released with that credit. The single became Prince's first US number 1 single on the Billboard Hot 100 Chart. It also reached number 1 on the Billboard Black Singles Chart and on the Dance Disco Top 80 Chart. Billboard also ranked it as the #1 single of 1984. When Doves Cry was certified platinum by the Recording Industry Association of America, indicated two-million units shipping in the United States. It was the last single released by a solo artist to receive such certification before the certification requirements were lowered in 1989. Promotional instore stand and WB advert published in Billboard for this single. The single was #1 in the U.S.A. Billboard Hot 100 chart for five weeks, from July 7 1984 to August 4 1984. The single remained 18 weeks in the Billboard Black Single Top 40 Chart. The single remained 11 weeks in the UK Top 40 Chart. This page was last modified on 24 November 2017, at 14:00.